The Epic chief is homing in on social determinants as she works on creating truly “comprehensive” platforms. 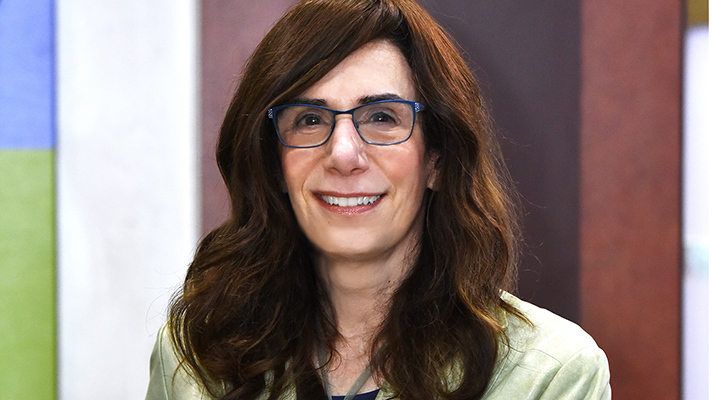 LAS VEGAS -- Last year about this time, Epic Systems founder and CEO Judy Faulkner announced at HIMSS17 she would create two smaller EHRs for those healthcare enterprises that did not need the full-blown version of Epic's EHR. She did just that. Those offerings are available today and being demonstrated at the Epic booth. Now Faulkner is onto other work near and dear to her -- augmenting the CHR, or comprehensive healthcare record -- to take into social determinants of healthcare. "Most health systems know they have to go beyond their walls," she told Healthcare IT News in an interview at Epic’s artsy and quirky booth on the show floor. It's the place where art and technology meet. It's not the first time Faulkner has championed the moniker CHR, “comprehensive health record,” in lieu of EHR. As she sees it, everything is electronic. It's another thing to be comprehensive. Being comprehensive has the high possibility of making a difference in a patient's life. In doing more work overseas over the past year, she found the value the CHR concept could have on providing better care is clear. Finland is big on social determinants. Faulkner sees how critical social information -- such a patient who is lonely, for example -- can be to providing the right care. Social determinants will play a greater role in caregiving, she expects. Among the resources she sees at play in this area are food pantries, school programs, group homes, mental health and substance abuse programs, child and family programs, disability programs social assistance and transportation. Faulkner is also highlighting "One Virtual System Worldwide," an initiative Epic launched in January 2018, aimed at making it easier for Epic shops to exchange data and collaborate more around it. The idea is to make it easy to view data in a single merged view. It could include images, family history, notes and other elements, including social determinants.